Our Professional Code of Conduct Poster with Pledge Sidebar is a direct result of the Joint Commission's recent Sentinel Event Alert* with regards to intimidating and disruptive behaviors that foster medical errors. Our poster establishes a Professional Code of Conduct while reminding your staff that "Professionalism, Dignity, and Respect" are good for them and their patients. Underscore the importance of the code of conduct by having staff members sign their "Pledge" to uphold the values of the code. 26-1/2 x 24" Poster is also available in 33 x 30"
Learn why our POSTERS ARE THE BEST in the industry. You can choose other poster designs to achieve the minimum order of any poster we sell. 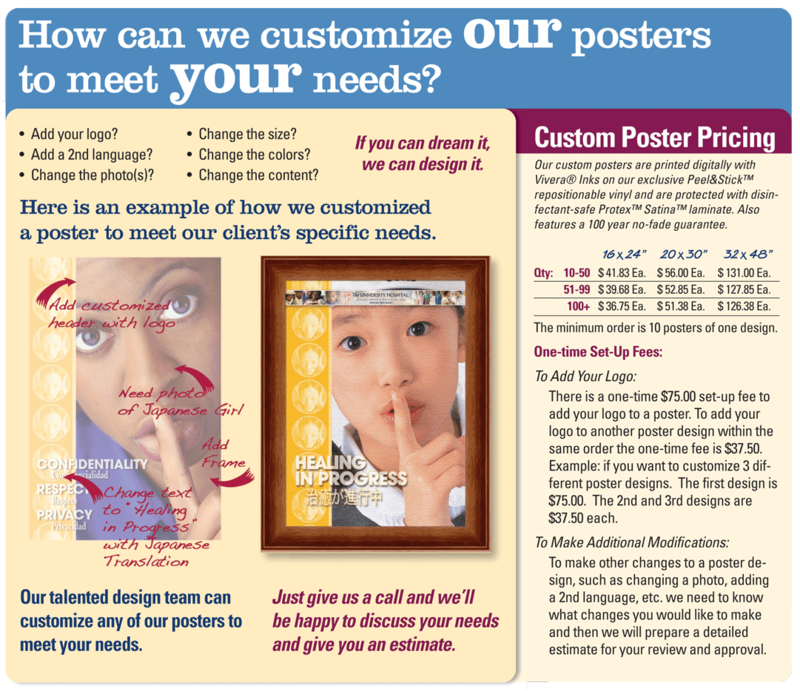 To Mix-and-Match Posters, just call one of our friendly Customer Service Representatives at (877) 646-5877.